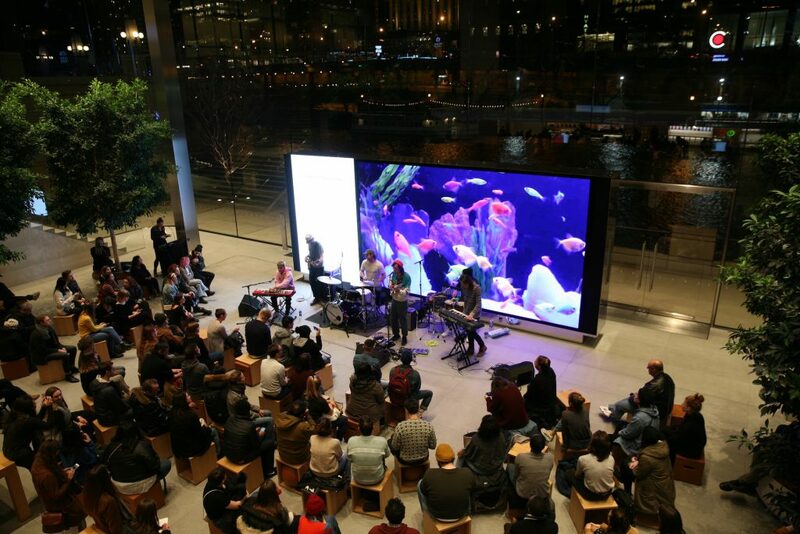 On Friday night, Chicago native Paul Cherry played at a rather unconventional venue — Apple. 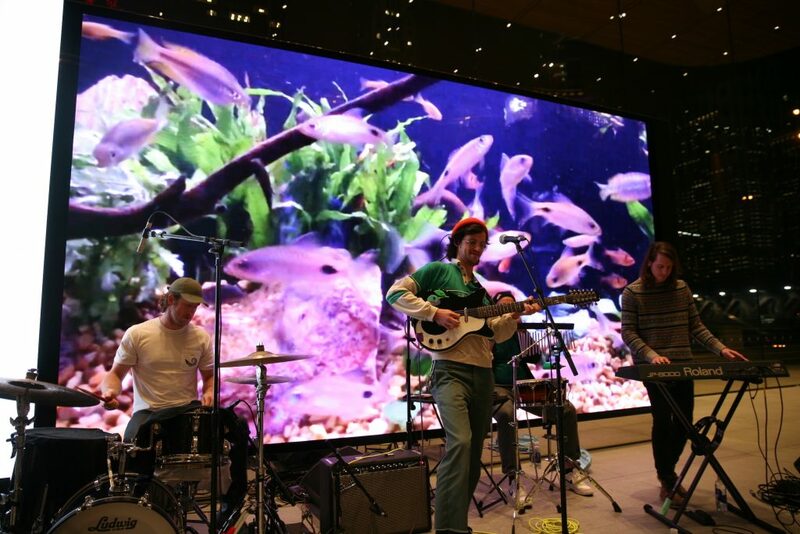 The Michigan Avenue store, which opened a little over a year ago, hosts artists in a large, open space in front of the tables showcasing its products. 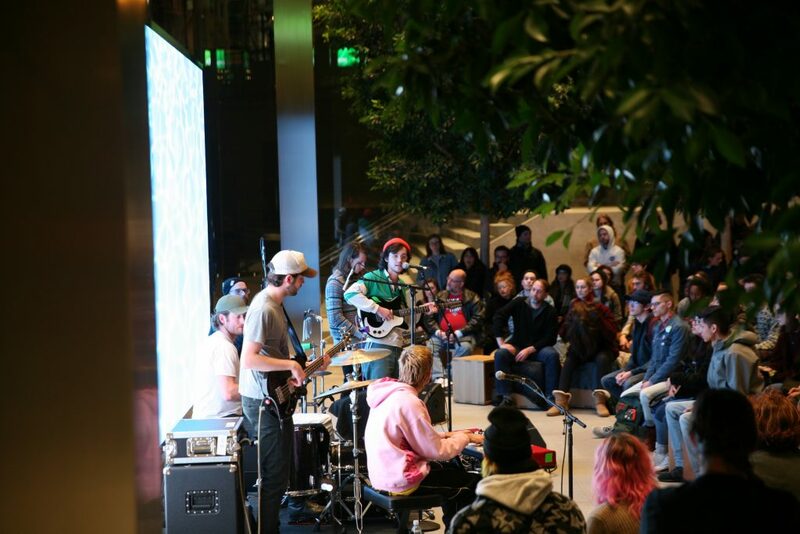 People leaned against tables and sat on wooden blocks placed in a semicircle around Cherry and his band. Cherry opened with “Hello Again,” the first song on his full-length album “Flavour,” which he released at the end of March. The jazzy song was a fitting greeting, as this was Cherry’s first show back in Chicago after a six-week tour. Cherry’s voice was smooth and clear, just as it is on his album, but what was most impressive about the performance was the use of instruments — both his own guitar technique and the playing of his bandmates. His newer music is an interesting mix of old and new, jazz and pop. Cherry used a loop machine at points, and in addition to more conventional instruments, one of his bandmates played a wind chime and maracas. The band ventured into improvisation during “The Comeback,” when Cherry stepped back to let two of his bandmates take a drum break. One of the drummers played bongos, which fit in surprisingly well with the synths in many of the other songs. 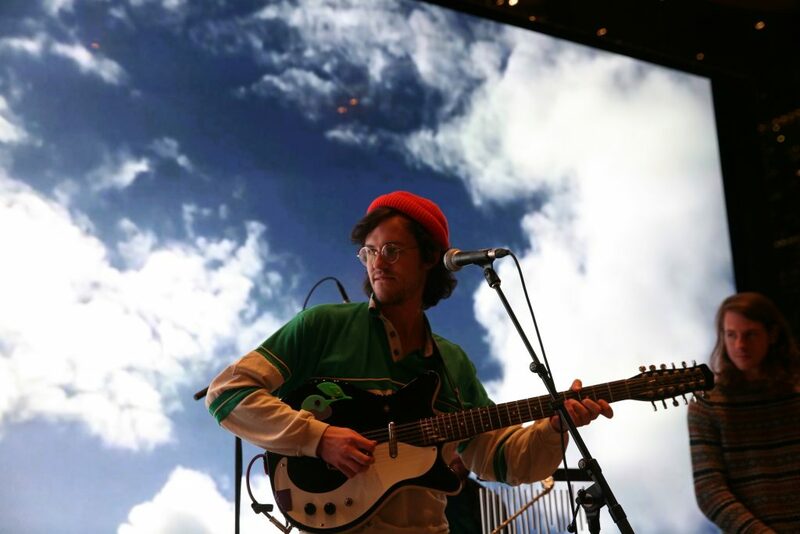 During “Minute,” a fun instrumental song in the middle of “Flavour,” Cherry played slide guitar while the screen behind him showed a snail moving along, followed by a plane ascending in slow motion. The song was the most exaggerated example of Cherry’s dream-like music. It felt like a brief stop in time.